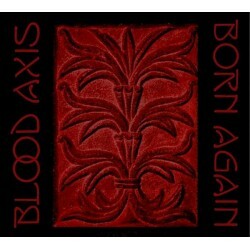 Blood Axis Born Again Storm Records (STRM-12) There will be at least one resurrection on Easter Sunday, 2010, when Blood Axis unveils its latest work, Born Again. 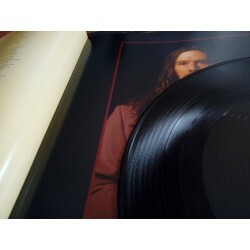 The second full-length studio album in the group’s twenty-year history, Born Again signals startling developments and a radical maturation. Old vines have been cut back and carefully tended in order to bear strange new fruit. 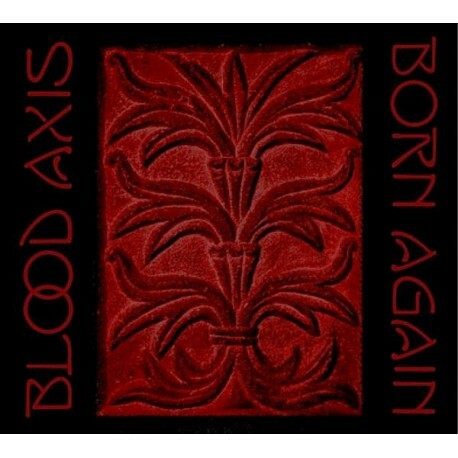 Over the course of the twelve tracks that comprise Born Again, Blood Axis explores an epic yet human universe in which gods are summoned, kingdoms rise, riddles are unlocked, love is lost, and worlds crumble. This is psychedelia in the literal sense: a “mind-manifesting” journey through the collective psyche of its creators. 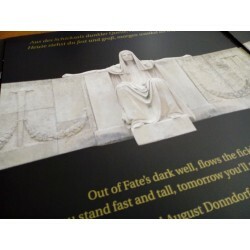 Born Again weaves a web of potent pleasures. 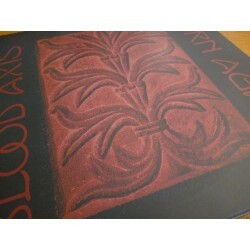 Whereas the earliest Blood Axis music was marked by keyboards and samples, Blood Axis in 2010 is stripped down to an essential core of natural instrumentation, but with force and bombast fully intact. The sonic ingredients on Born Again include electric and acoustic strings (guitar, violin, bass, bouzouki, banjo), melodeon, piano, highland bagpipes and Galician gaita, marching percussion, the mysterious Annabel-a-tron, and Bobby BeauSoleil’s growling, prison-vintage guitar eruptions circa 1976. Underpinning the album and propelling much of the music is the traditional Irish drum the bodhrán, recorded here with unprecedented power. Moynihan’s ominous voice is well matched by Annabel Lee’s elfin intonations, just as her violin finds a perfect counterpoint in Robert Ferbrache’s protean guitar parts. A selective cabal of guest musicians from Europe and the USA add tasteful embellishments to these deceptively simple arrangements.